Punk guitar legend JAMES STEVENSON takes time out from his various projects to play a rare London solo show next month. 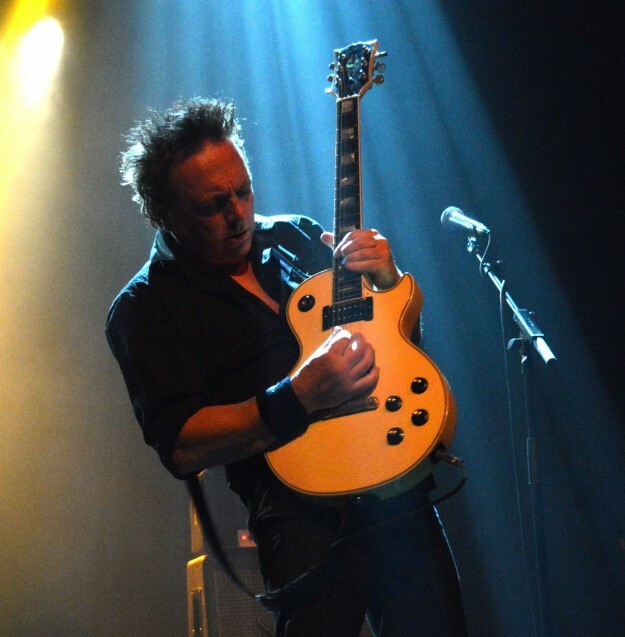 Starting out in CHELSEA as a teenager, Stevenson went on to hook up with Billy Idol, Tony James and Terry Chimes in the revamped GEN X, before joining HOT CLUB with Glen Matlock. Since then he’s had stints with KIM WILDE, GENE LOVES JEZEBEL, THE ALARM and WILLIE NILE, with numerous session credits to his name. More recently he’s been touring with THE CULT, INTERNATIONAL SWINGERS – with Matlock, BLONDIE drummer Clem Burke and former TWENTY FLIGHT ROCKER Gary Twinn – and Woody Woodmansey and Tony Visconti’s BOWIE project HOLY HOLY. He released a solo album Everything’s Getting Closer To Being Over last year. Stevenson plays The Water Rats, Kings Cross with his WEST LONDON ALLSTARS on Thursday 17 December, with support from THE REBELLES and SPIZZOLOGY. Tickets are £7 and you can get them here.